In 1999, Tom Villante founded YapStone with the simple goal of converting bills commonly paid by paper check into online electronic payments. Today, YapStone processes over $18 billion in online and mobile payments and has raised over $110 million in capital. As Chairman and CEO, Tom leads the strategic vision, operational execution and global expansion of the company. With his experience and expertise in the FinTech industry, Tom is focused on positioning YapStone’s innovative and proprietary payments platform to meet the needs of global marketplaces and large vertical markets. Prior to YapStone, Tom was a Partner at The Seidler Company, a private equity firm, and an investment banker with S.G. Warburg (now UBS) and William E. Simon & Sons. In addition to his role at YapStone, Tom is a member of Young Presidents’ Organization (Santa Monica Bay) and has served on the Boards of local schools and charitable organizations. 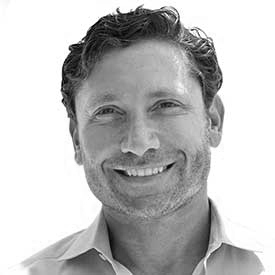 With 20 years of entrepreneurial experience, he is an active angel and real estate investor, frequent speaker at FinTech and Leadership conferences as well as a contributing writer to notable business publications. Tom earned a Bachelor’s Degree from Princeton University.